Rabi'ah al-Adawiyya, a major spiritual influence in the classical Islamic world, is one of the central figures of the spiritual tradition. She was born around the year 717 C.E. in what is now Iraq. Not much is known about Rabia al Basri, except that she lived in Basra in Iraq, in the second half of the 8th century AD. She was born into poverty. But many spiritual stories are associated with her and what we can glean about her is reality merged with legend. These traditions come from Farid ud din Attar a later sufi saint and poet, who used earlier sources. 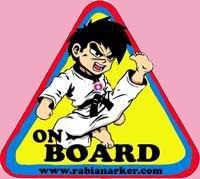 Rabia herself though has not left any written works. Hazrat Rabia's (rahmatullahi alayha) parents were so poor that there was no oil in the house to light a lamp, nor a cloth even to wrap her with. She was the -fourth child in the family. Her mother requested her husband to borrow some oil from a neighbour, but he had resolved in his life never to ask for anything from anyone except the Creator; so he pretended to go to the neighbour's door and so gently knocked at it that he might not be heard and answered, and therefore returned home empty-handed. He told his wife that the neighbour did not open the door, so he came disappointed. In the night the Prophet appeared to him in a dream and told him, "Your newly born daughter is a favourite of the Lord, and shall lead many Muslims to the Path of Deliverance. You should approach the Amir of Basra and present him with a letter in which should be written this message, "You offer Darud to the Holy Prophet (Sallallaahu Alayhi Wa Sallam) one hundred times every night and four hundred times every Thursday night. However, since you failed to observe the rule last Thursday, as a penalty you must pay the bearer four hundred dinars. Hazrat Rabia's (rahmatullahi alayha) father got up and went straight to the Amir, with tears of joy rolling down his cheeks. The Amir was delighted on receiving the message and knowing that he was in the eyes of the Prophet (Sallallaahu Alayhi Wa Sallam) he distributed in gratitude one thousand dinars to the poor and paid with joy four hundred to Rabia's father and requested him to come to him whenever he required anything as he will benefit very much by the visit of such a soul dear to the Lord." After her father's death, there was a famine in Basra, and during that she was parted from her family. It is not clear how she was traveling in a caravan that was set upon by robbers. She was taken by the robbers and sold into slavery. "I am a poor orphan and a slave, Now my hand too is broken. But I do not mind these things if Thou be pleased with me. " "Never mind all these sufferings. On the Day of Judgement you shall be accorded a status that shall be the envy of the angels even"
One day the master of the house spied her at her devotions. There was a divine light enveloping her as she prayed. Shocked that he kept such a pious soul as a slave, he set her free. Rabia went into the desert to pray and became an ascetic. Unlike many sufi saints she did not learn from a teacher or master but turned to God himself. Throughout her life, her Love of God. Poverty and self-denial were unwavering and her constant companions. She did not possess much other than a broken jug, a rush mat and a brick, which she used as a pillow. She spent all night in prayer and contemplation chiding herself if she slept for it took her away from her active Love of God. As her fame grew she had many disciples. She also had discussions with many of the renowned religious people of her time. Though she had many offers of marriage, and tradition has it one even from the Amir of Basra, she refused them as she had no time in her life for anything other than God. More interesting than her absolute asceticism, however, is the actual concept of Divine Love that Rabia introduced. She was the first to introduce the idea that God should be loved for God's own sake, not out of fear--as earlier Sufis had done. She taught that repentance was a gift from God because no one could repent unless God had already accepted him and given him this gift of repentance. She taught that sinners must fear the punishment they deserved for their sins, but she also offered such sinners far more hope of Paradise than most other ascetics did. For herself, she held to a higher ideal, worshipping God neither from fear of Hell nor from hope of Paradise, for she saw such self-interest as unworthy of God's servants; emotions like fear and hope were like veils -- i.e. hindrances to the vision of God Himself. Rabia was in her early to mid eighties when she died, having followed the mystic Way to the end. By then, she was continually united with her Beloved. As she told her Sufi friends, "My Beloved is always with me"
______________________________________________________[Citations and data are from Margaret Smith, The Way of the Mystics: The Early Christian Mystics and the Rise of the Sufis, NY: Oxford University Press, 1978. See the Islamic Bookstore for sample pages. I strongly recommend her book]. 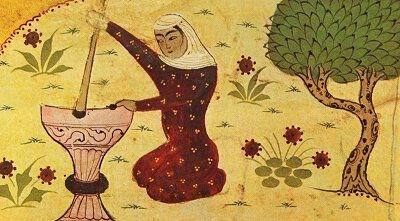 One of the most famous Islamic mystics was a woman: Rabi'a al-'Adawiyya (c.717-801). This 8th century saint was an early Sufi who had a profound influence on later Sufis, who in turn deeply influenced the European mystical love and troubadour traditions. Rabi'a was a woman of Basra, a seaport in southern Iraq. She was born around 717 and died in 801 (185-186). Her biographer, the great medieval poet Attar, tells us that she was "on fire with love and longing" and that men accepted her "as a second spotless Mary" (186). She was, he continues, “an unquestioned authority to her contemporaries" (218). Rabi'a was of this second kind. She felt no reverence even for the House of God in Mecca: "It is the Lord of the house Whom I need; what have I to do with the house?" (219) One lovely spring morning a friend asked her to come outside to see the works of God. She replied, "Come you inside that you may behold their Maker. Contemplation of the Maker has turned me aside from what He has made" (219). During an illness, a friend asked this woman if she desired anything. She was once asked where she came from. "From that other world," she said. "And where are you going?" she was asked. "To that other world," she replied (219). She taught that the spirit originated with God in "that other world" and had to return to Him in the end. Yet if the soul were sufficiently purified, even on earth, it could look upon God unveiled in all His glory and unite with him in love. In this quest, logic and reason were powerless. Instead, she speaks of the "eye" of her heart which alone could apprehend Him and His mysteries (220). She was asked once if she hated Satan. To such lovers, she taught, God unveiled himself in all his beauty and re-vealed the Beatific Vision (223). For this vision, she willingly gave up all lesser joys. Rabi'a was in her early to mid eighties when she died, having followed the mystic Way to the end. By then, she was continually united with her Beloved. As she told her Sufi friends, "My Beloved is always with me" (224). Moving beyond Rabi'a's life, the author considers such difficult issues as the gender-transcendent ideal of Sufism, today's Islamic feminists and their criticism of Sufis, and "homosocial" relationships (which touch upon Rumi's life). I found it a literate, well-researched paper. [Added 1 December 2001]:This is a brief, no frills page on the life and sayings of Rabi'a. You will have read much of this elsewhere in other links on my site but some of the sayings are new -- and worthwhile. Little is known for sure about Rabi`a al-'Adawiyya al-Qaysiyya (known as Rabi`a of Basra), revered as one of the earliest and greatest Sufi mystic ascetics in Islam. She was born into poverty: the fourth girl (hence her name Rabi`a meaning "fourth") around 95-99 A.H. in Basra. It is thought she was captured after being orphaned and sold into slavery, becoming a flautist. If you're interested in contemporary Muslim women's issues, or in other Muslim women mystics and leaders (including contemporary author and activist, Margret Marcus, the first American Jewish woman to convert to Islam), this is a great place for browsing. Most of the entries are relatively brief, so they won't demand too much of a busy schedule. [Added 1 December 2001]: This is another brief publisher's page promoting First among Sufis: The Life & Thought of Rabia al-Adawiyya by Widad El Sakkakini. I haven't read it so you'll have to judge for yourself if it's worth your time. [Added 28 November 2001]: This is The Golden Tales: The Life of Rabi'a, a children's book (also available as a video). From the video description, at least one obvious liberty has been taken with history: Rabi'a is said to have lived her ascetic life in Mecca, not Basra, which is a significant error, especially since we know her thoughts on Mecca -- it was, she said, the Lord of the house who interested her, not his house. She certainly never spent her life in Mecca. The book and/or video might, however, be evocative and engaging enough to appeal to children who really wouldn't care where she lived. Rabia was a mystic, or a holy woman, who spent her whole life in devotion to God. 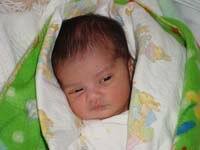 She was born over a thousand years ago, in the city of Basra, in Iraq. Long ago, in the city of Basra, there lived a young woman named Rabia. She came from a poor family. She and her three sisters suffered greatly, for their parents had died and then there was a great famine. It was a violent and dangerous time. The famine made people cruel, ready to do almost anything to survive. Rabia knew it was not safe to walk alone in the town, but she had to find food. One evening, she slipped out of the house, and into the street. Suddenly, someone caught her, holding her roughly. A hand was over her mouth -- she could not cry for help. She had been captured by a wicked dealer in slaves, who then sold her in the market, for just a few coins. As a slave, Rabia served in the house of a rich man. She had to work hard, for long hours. Yet all the time, through out the day as she worked, she prayed and fasted. Even at night, she slept little. She often stood praying as dawn broke and her daily tasks began. One hot night, Rabia's master found he could not sleep. He got up, and walked over to the window of his room. He looked down, into the courtyard below. There, he saw the solitary figure of Rabia, his slave. Her lips moved in prayer, and he could just catch the words in the still night air. Oh God, Thou knowest that the desire of my heart is to obey Thee, and if the affair lay with me, I would not rest one hour from serving Thee, but Thou Thyself has set me under the hand of Thy creature. For this reason I come late to Thy service. . . There was something very strange about the scene. At first, the master could not quite understand what it was. Then he realized. There was a lamp above Rabia's head. Ithung there, quite still -- but without a chain. As he watched, its light filled the whole house. Suddenly, he was afraid. He returned to his bed, and layawake, thinking of what he had seen. He was certain of only one thing. Such a woman should not be a slave. In the morning, he called Rabia to him, and spoke to her kindly. He told her he would set her free. "I beg your permission to depart," murmured Rabia, and her master agreed at once. Rabia set off out of the town, deep into the desert. There she lived as a hermit, alone for awhile, serving God. Later, she went to Makkah as a pilgrim. How she had learnt the truth of Allah wholly? How was her heart estranged from this world's folly? Collected round the sacred stone. Beheld the Kaabeh's promised land.